Tucked between the DOCG giants of Montalcino and Montepulciano along the Orcia River, Val d’Orcia is a remote wine region in southern Tuscany. It’s known for its ancient Via Cassia trade route, connecting Siena to Rome, now a pilgrimage for trekkers. The Parco della Val d’Orcia, a UNESCO World Heritage Site since 2004, is breathtaking for its craggy cliffs (calledcalanchi) dotted with castles, abbeys, farms and fortresses. This area is also a wellness destination with several natural thermal springs where visitors can unwind after a day of hiking or meandering the crooked streets of near-empty medieval villages. Orcia bills itself as “the most photographed agricultural landscape in world.” But the wines are less known outside Italy. Better recognized as an outdoor lovers’ destination that attracts 1.2 million visitors a year, few visit Orcia just to try the wines, but most leave with bottles to take home. They are a find! One reason many have not discovered Val d’Orcia is because it is overshadowed by its famous neighbors; another is because land for planting vineyards is limited. The wineries tend to be family enterprises focused on small production, high quality wines that are still amazing value. A few well-known Brunello producers have wineries in Val d’Orcia such as Sasso di Sole and Donatella Cinelli Colombini. 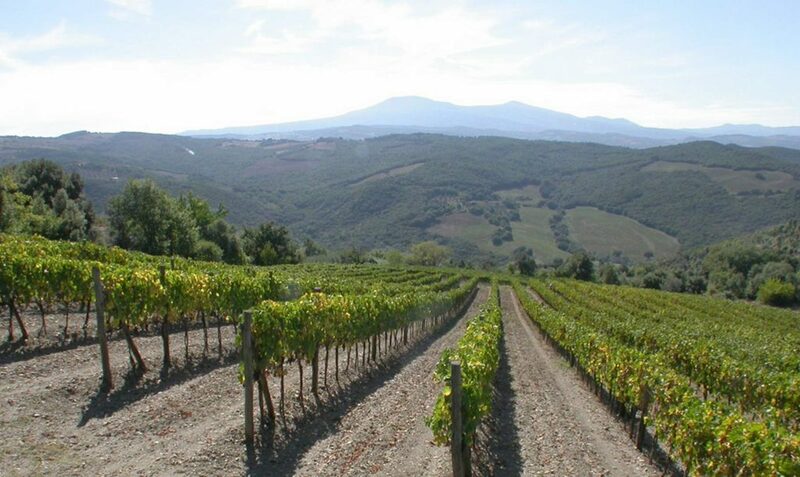 Established on February 14, 2000, The DOC Orcia appellation consists of 40 producers (out of 60 in the entire region) throughout 12 growing municipalities. Regulations requireOrcia DOCred wines must contain a minimum of 60 percent Sangiovese, and Orcia DOC Sangiovesewines must contain 90 percent Sangiovese. The other native red grapes that may be used include Canaiolo Nero, Colorino, Ciliegiolo, Foglia Tonda, Pugnitello and Malvasia Nera. 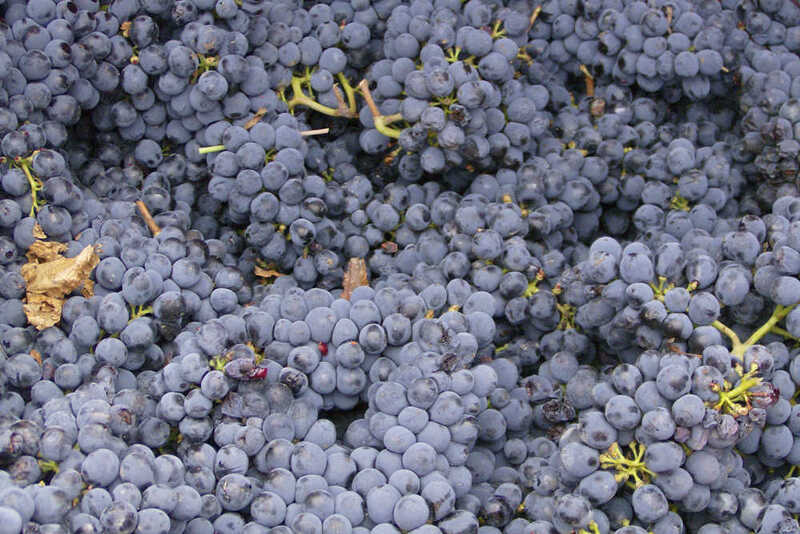 Some wineries also blend in Cabernet Sauvignon and Merlot. 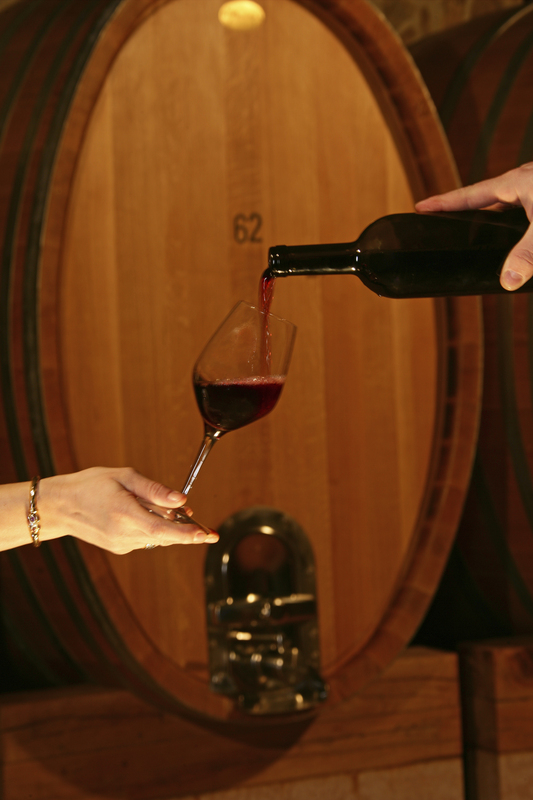 Rosso wines must be aged a minimum of 12 to 24 months in oak, and Riserva wines a minimum of 24 to 30 months. 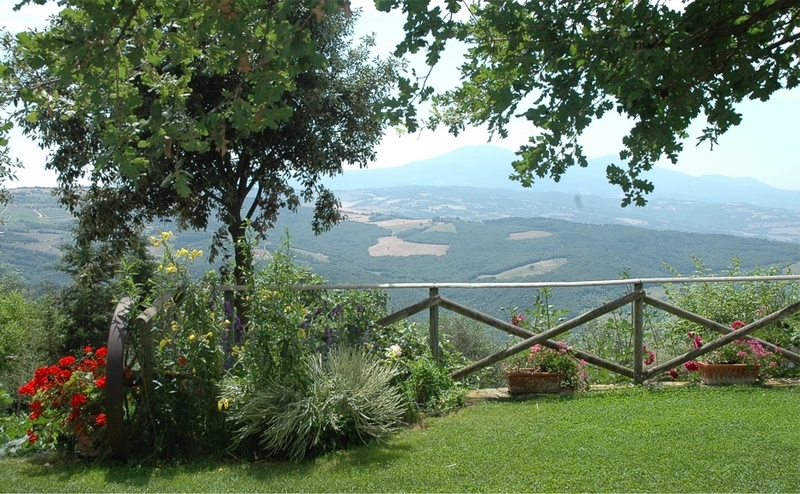 The region also produces small amounts of Orcia Rosé, made from 60 percent minimum Sangiovese, and Orcia Bianco, made from 50 percent minimum Trebbiano blended with other white aromatic grapes. Most vintners farm organically. After visiting Val d’Orcia, my impressions of the wines were that they offered incredible elegance and structure. Tasting them was like unearthing fresh white truffles – another local delicacy – you know you just discovered something special and hard to find that will bring you immense pleasure. Whatever you say about Val d’Orcia wines, just don’t call them “baby Brunellos.” They deserve their own spotlight and can stand on their own merit. Prices range from $20 to $48. Donatella Cinelli Colombini Fattoria del Colle: (Trequanda). Spend a night or two at this 16thcentury wine estate and villa to enjoy a divine meal, cooking classes and to relax at the pool or wine spa. Try Cenerentola Orcia DOC 2015 (65 percent Sangiovese, 35 percent Foglia Tonda). Sasso di Sole: The Terzuoli family behind the well-known Brunello di Montalcino label also produces wine in Orcia. Try Sasso di Sole Orcia DOC Rosso 2016. Valdorcia Terre Senesi (S. Quirico d’Orcia): Established 1998 on an old olive farm, the winery is owned by Milanese entrepreneur Antonio Rovito and Gabriella Giannetti. Rovito decided to embrace healthier living in Orcia. Try: Ripario DOC Orcia Sangiovese (90 percent Sangiovese). Cantina Campotondo (Campiglia d’Orcia): Paolo Salviucci worked with producers in Montalcino before opening his winery in 2000 which he runs with daughter Elena. This winery also produced a sublimely nutty and spicy Tavoleto Chardonnay 2017. The flagship is Orcia DOC is Banditone (90 percent Sangiovese, 10 percent Merlot-Colorino). Roberto Mascelloni di Poggio al Vento (Castiglione d’Orcia): The name means “windy point” and for good reason. Bring a windbreaker if you visit this remote hilltop family winery and farmhouse and stay the night to enjoy a home-cooked Tuscan meal. Owner Roberto Mascelloni was a former archer who has been bottling his wines since 1960. His signature label is appropriately named Arcere Orcia DOC 2015 (90 percent Sangiovese, and five percent each Foglia Tonda and Merlot). In addition to its many hiking trails, other Orcia highlights include: the Museo del Tartufo, Italy’s first truffle museum; the Bagno Vignoni hot springs, which date to the Middle Ages; and Rocca d’Orcia, an Etruscan fortress. 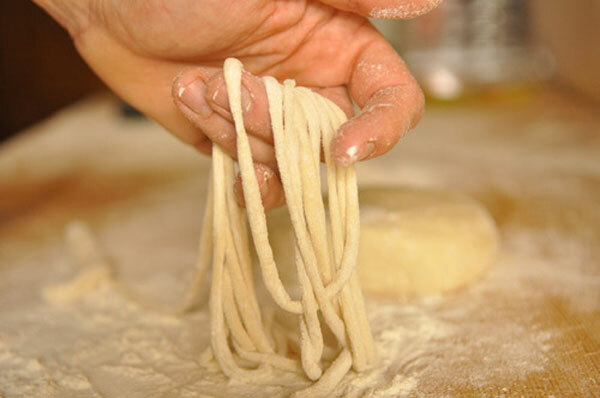 Local dishes include pici, a thick, hand-made spaghetti, ribollita, a vegetable and bread-based soup, Chianina beef and the local Pecorino sheep’s milk cheese. The annual Orcia Wine Festival takes place in April. Resources:Strada del Vino Orcia Consorzio del Vino Orcia Parco della Val d’Orcia.